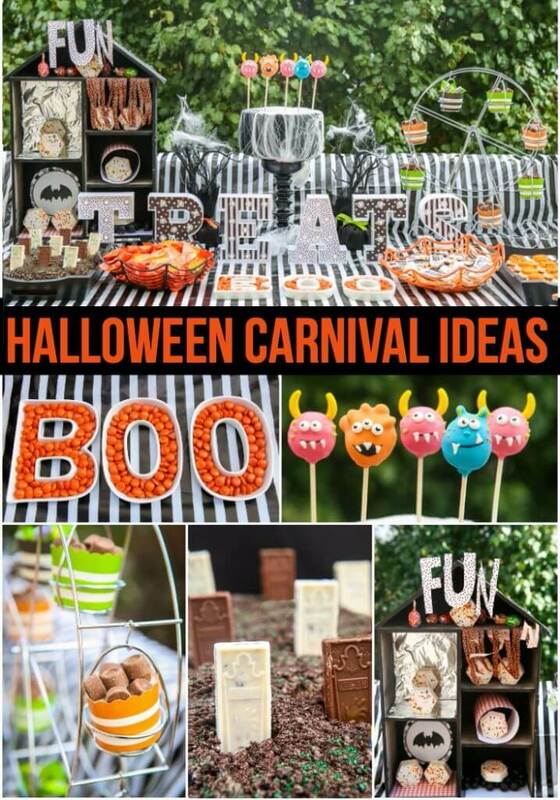 These Halloween carnival ideas are perfect for kids of all ages to celebrate Halloween! One of my favorite things about the fall is all of the fall festivals, pumpkin patches, and Halloween parties. 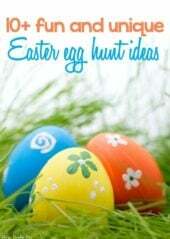 We love checking out each and every one in our area. 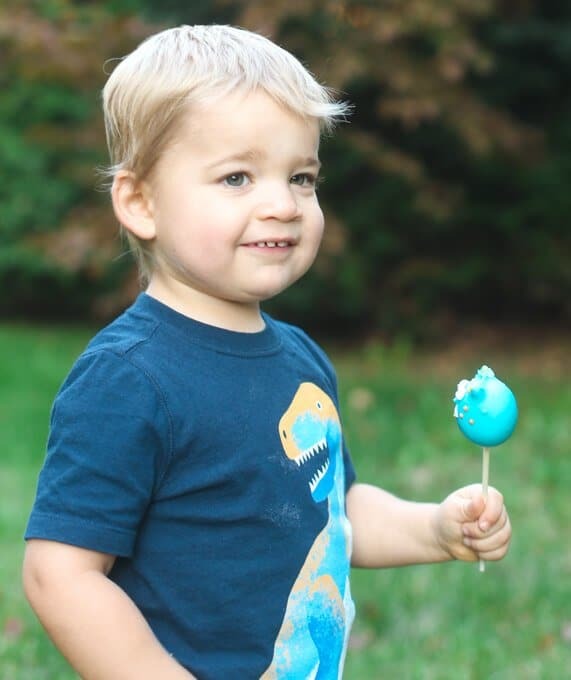 Wagon rides, pumpkin picking, and trick or treating with my toddler may be three of my favorite things ever. So it probably comes as no surprise that I host a Halloween party each year. 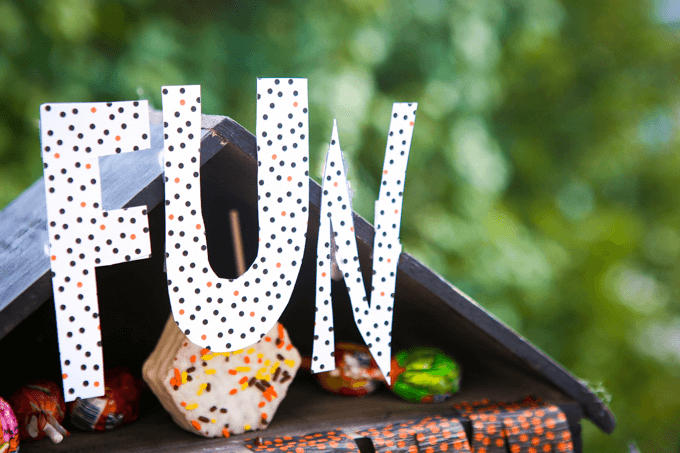 This year I combined my love of Halloween and fall festivals and hosted a Halloween carnival that’s perfect for kids of all ages. And if you increased the difficulty of the games a little, it could even work well for adults. 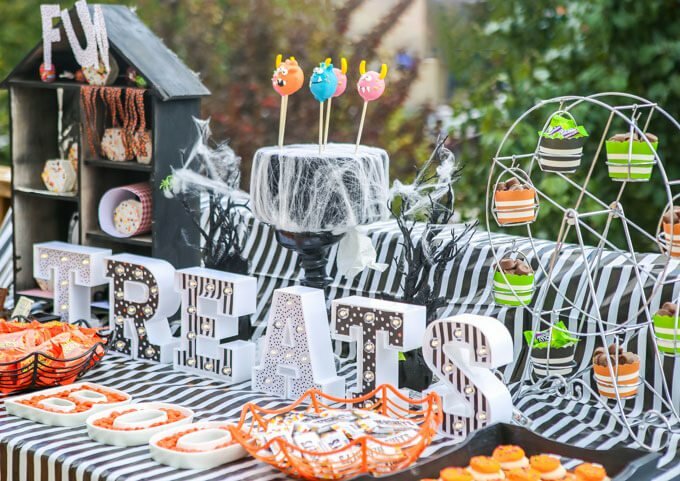 And since Americans of all ages, 34% of all Americans in fact, go to or attend a Halloween party, it’s always good to have some Halloween party ideas up your sleeve. 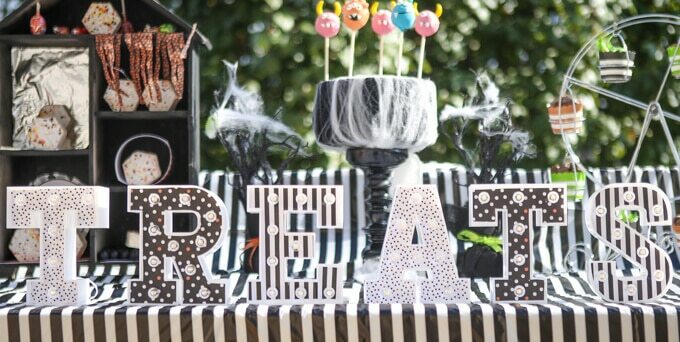 I’m always looking for inspiration for my parties and this year’s inspiration actually came from the Halloween candy aisle. 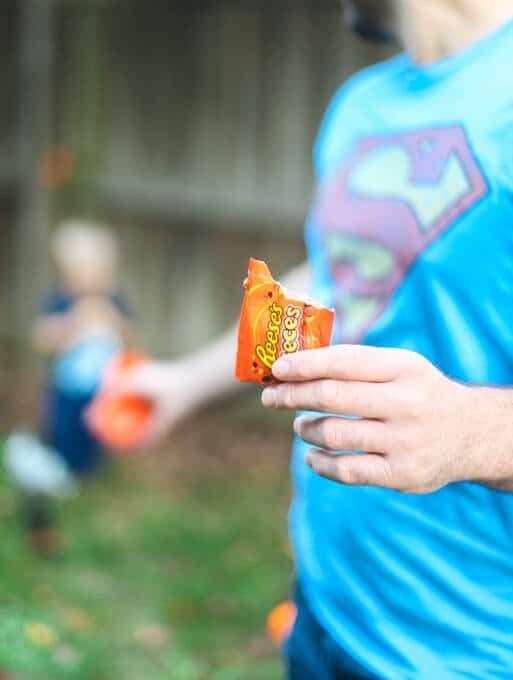 Hershey has a ton of fun Halloween candy items that are perfect for Halloween parties including their variety packs (with tons of my favorites like Milk Duds and Reese’s Pieces), Hershey Tombstone Bars and multiple flavors of Kit Kats. 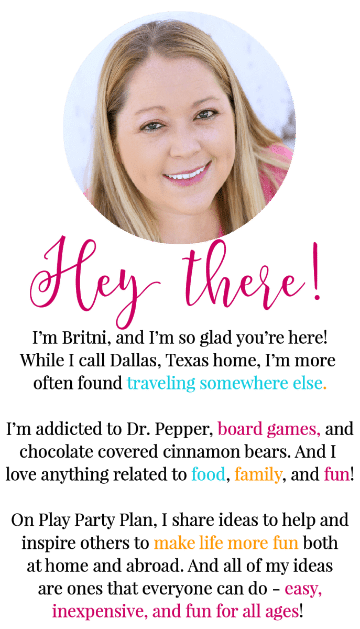 I used my trip down the candy aisle to come up my color scheme, decorations, and even desserts! 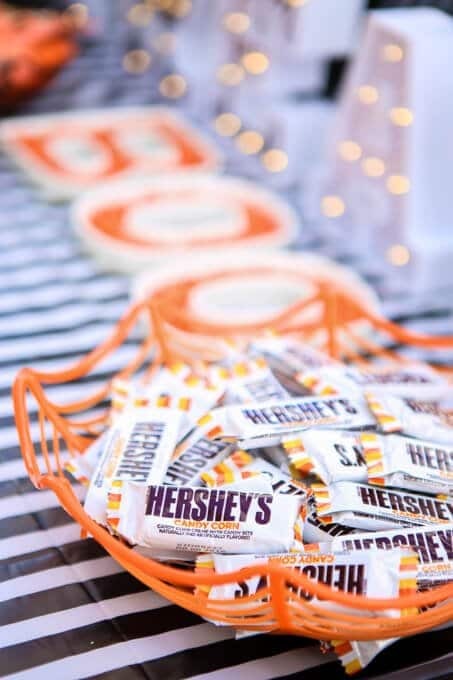 Hershey really makes it simple with their classic and new Halloween inspired treats to turn your blah Halloween party into something everyone will be talking about until next Halloween. 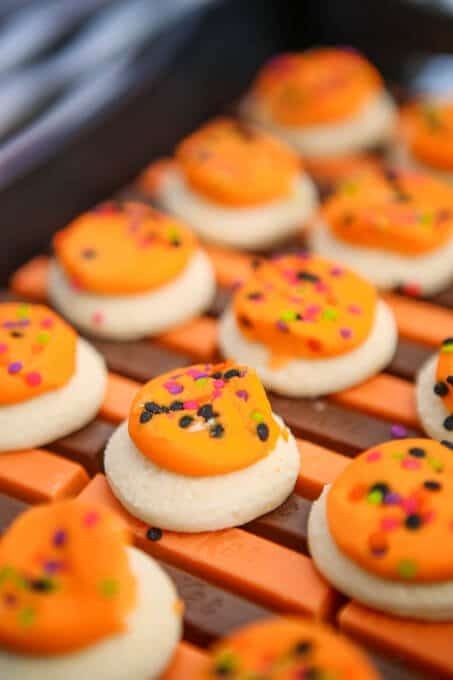 There are so many cute savory Halloween food items out there like these pumpkin pizzas, but I decided that when I think of Halloween, I automatically think of the sweets. I mean you do go trick or treating after all; it’s really all about the treats. So I skipped the savory and went with a full on Halloween carnival inspired dessert table. 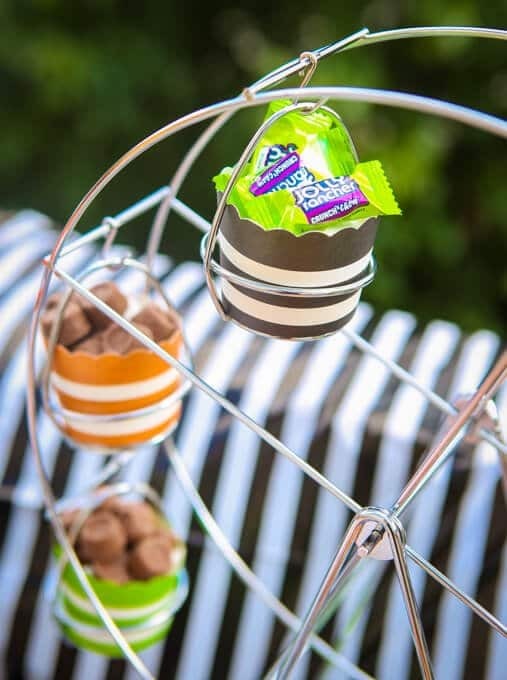 On one side of my table I setup my Halloween ferries wheel with little cups full of Mini Rolos and green Jolly Rancher candies to go with my color scheme. I love the new Mini Rolo packs that you don’t have to unwrap the Rolos anymore, so perfect for things like this where you want to get the candy out quickly. 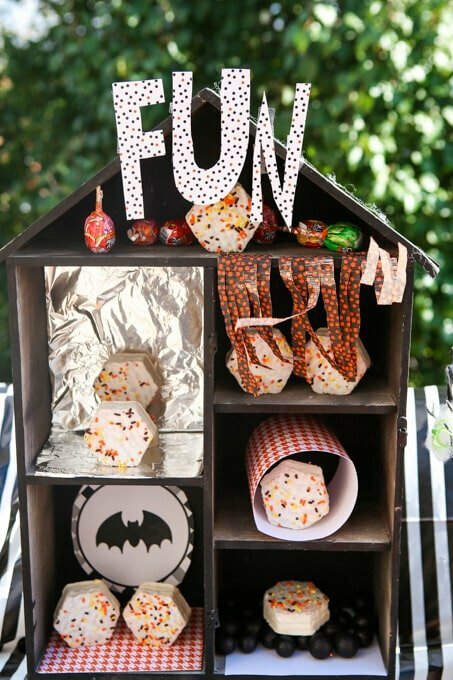 On the opposite side of the table, I added another tall element – my haunted fun house. I just took the house that I bought for last year’s Halloween party and decked it out with rooms you might find in a typical carnival funhouse. A room of mirrors, a ball room, a spinning tunnel, and so on. And even Jolly Rancher lollipops hanging from the ceiling in the attic to represent those rooms that you have to run through and dodge the blow up things. 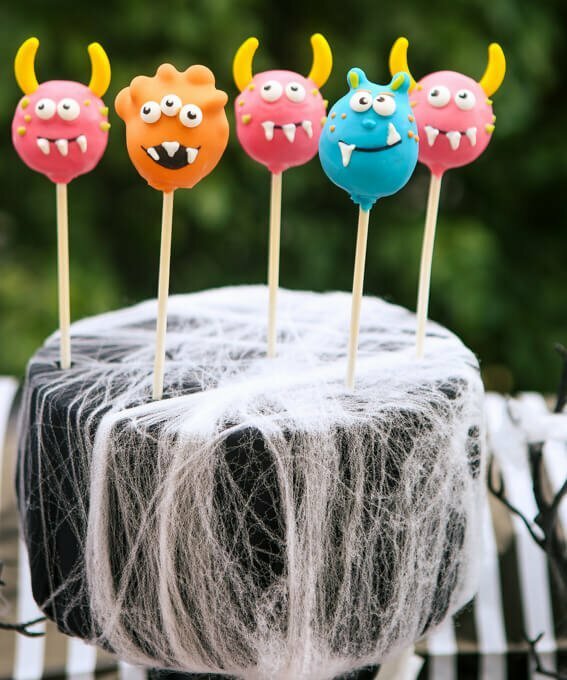 In between the fun house and ferries wheel, I added some spooky black trees (with a touch of colorful ribbon) and my handmade Halloween treat stand with the cutest monster cake pops to round out the tall back section of the table. 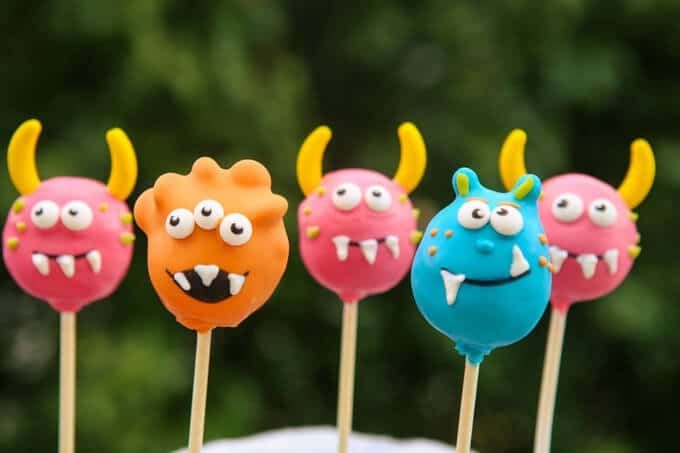 And I’ll tell you a secret – the hair and ears on those monsters, those are made with Reese’s Pieces dipped in chocolate. 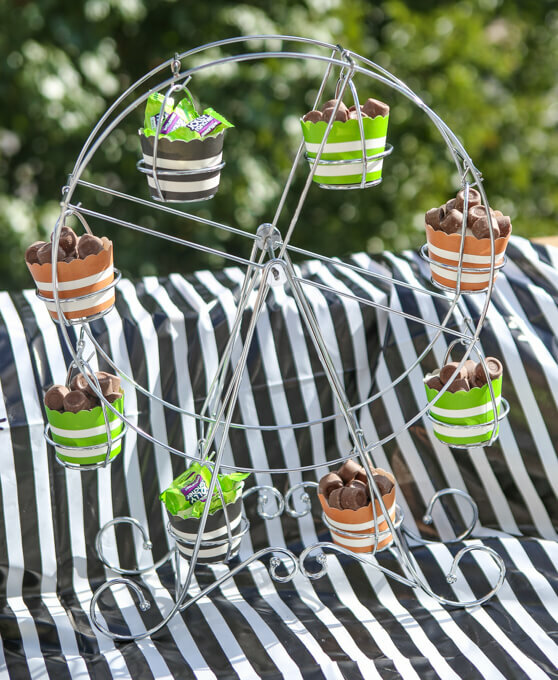 Just another way to use one of my favorite candies! 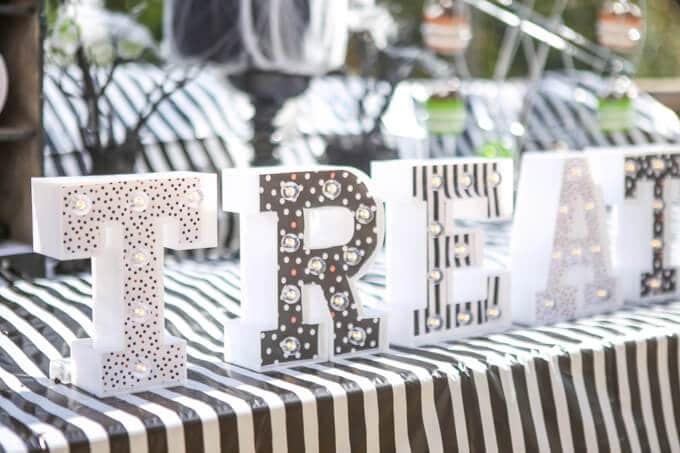 Okay now for one of my favorite parts of the table – the DIY treats marquee sign. 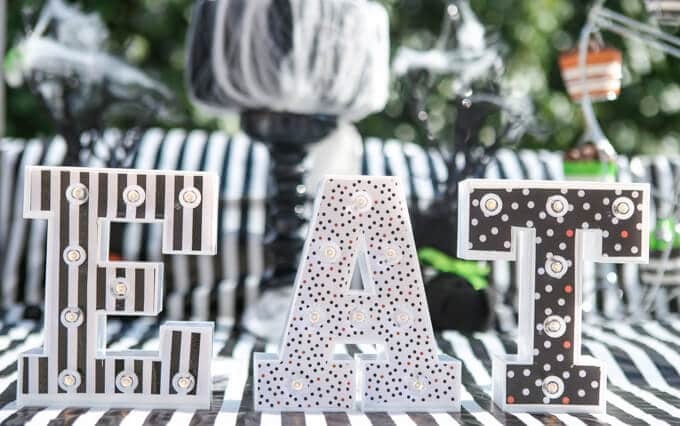 I found those Heidi Swapp mini marquee letters on clearance and knew they would be perfect for my carnival table. I mean what carnival doesn’t have marquee signs and lights all over the place? 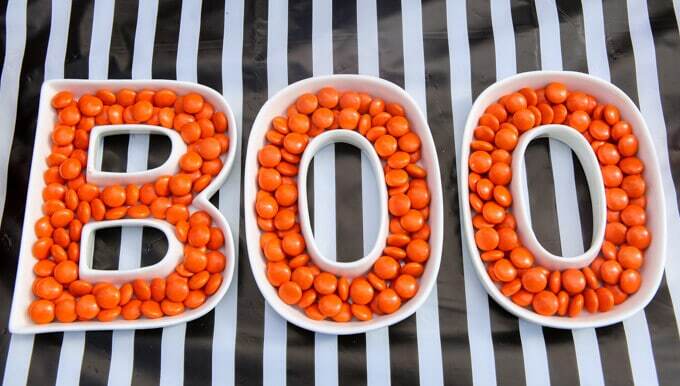 I just spelled out treats (like trick or treats!) in the middle of the table and purposely left a space in the middle of the table so that if you just looked up the center, it actually said EAT. 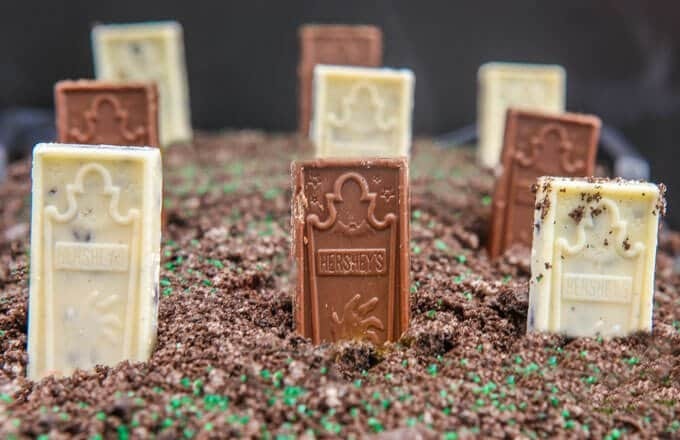 Next up I covered up a chocolate cake with some cookie crumbs and then stuck white and milk chocolate Hershey tombstone bars right into the cake to make them stand up for my candy cemetery. When my dad saw the cemetery he actually asked if I imprinted the Hershey chocolate bars with the sayings but no, you can just buy them by the bag! I don’t know how I never noticed them before. They’re seriously perfect for making any sort of tombstone or graveyard treat, especially if you’re like me and are terrible at writing with chocolate or icing. 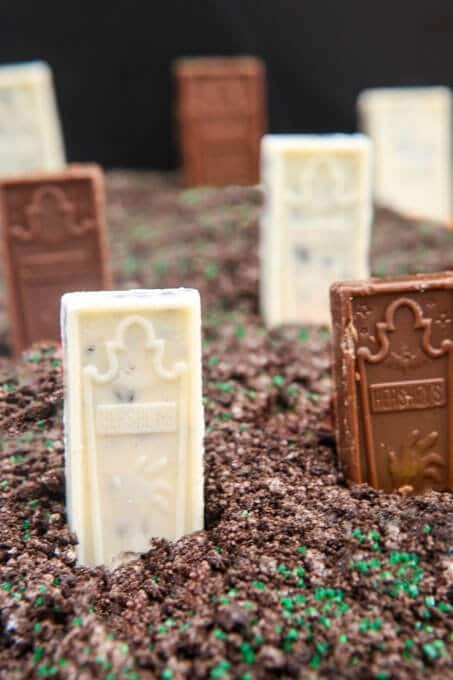 To mirror the candy cemetery, I created stripes (to go with all of the other stripes) using white chocolate and triple chocolate Kit Kats that I just laid out next to each other. 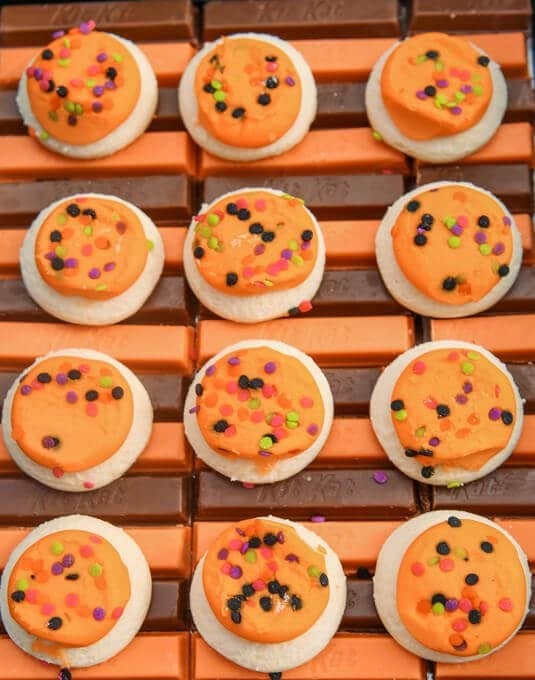 One of my favorite things to do for parties is to line plates and serving dishes with edible liners and Kit Kats, especially the Halloween colored ones, are perfect because they’re nice and flat. Try it next time you’re putting out some cookies. 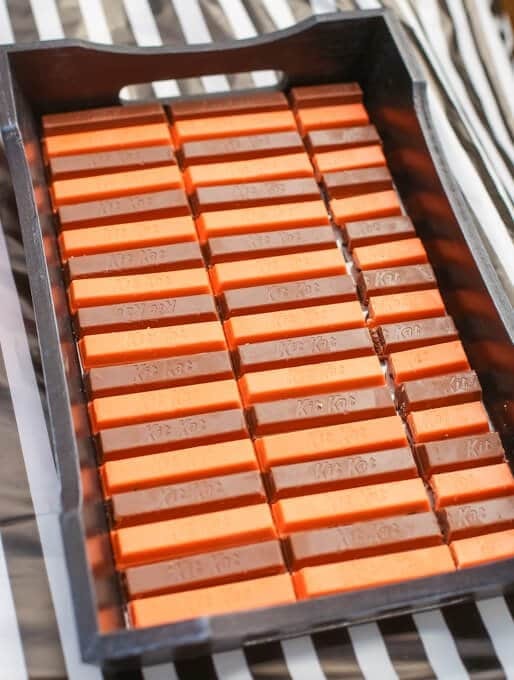 Line it with colored Kit Kats and put the cookies on it to see how much more they pop against the colored candy background! 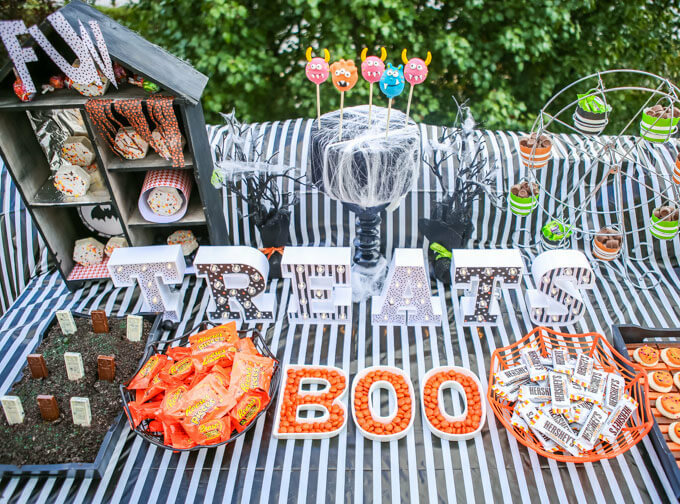 Last but not least, in the middle of the table I filled up my favorite ceramic BOO letters with orange Reese’s Pieces and then flanked the BOO letters with spider bowls on each side filled with contrasting colored candies. 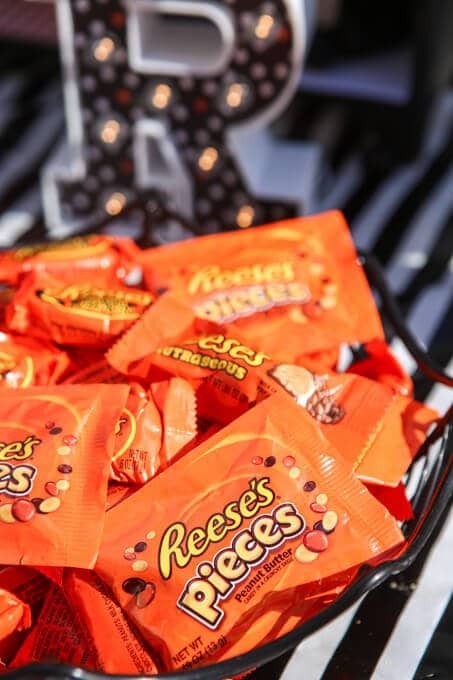 The Hershey’s candy corn chocolate bars were perfect for filling the orange bowl and everything Reese’s (Peanut Butter Pumpkins, Pieces, and even Nutrageous Bars) was perfect for the black bowl. 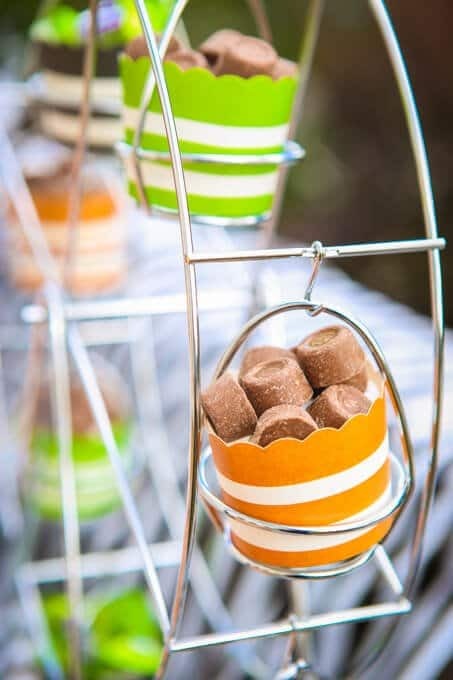 Adding contrasting colored candy into your bowl instead of just a random mix or even candy that matches the bowl can help even a simple element like that really pop. 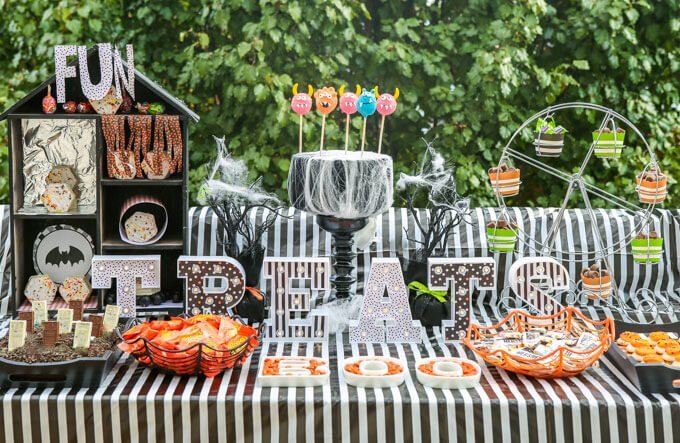 This was such a fun dessert table to setup, almost as fun as the Halloween carnival games that we played after enjoying all of our yummy treats. Head over to this Halloween games post for all of the great games we played! 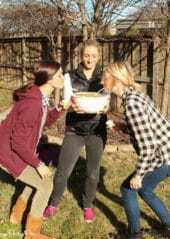 And then check out the Hershey website for more Halloween party ideas, for more costumes & crafts, and for more Halloween recipes. 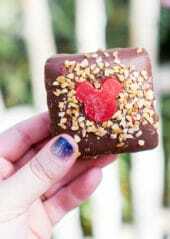 Which Halloween carnival treat would you try first?